This article outlines how to set Email Signatures for emails being sent from the CRM. In order to configure the Email Signatures within the CRM, you must have the correct level of authority within the CRM. If you do not then please contact the Customer Services Team or the Key CRM user within your business. 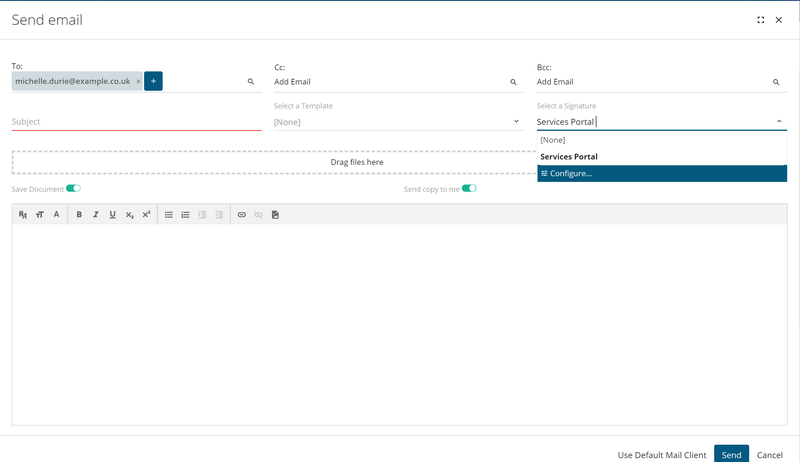 When sending an email from the CRM you have the option to choose different pre-configured signatures. 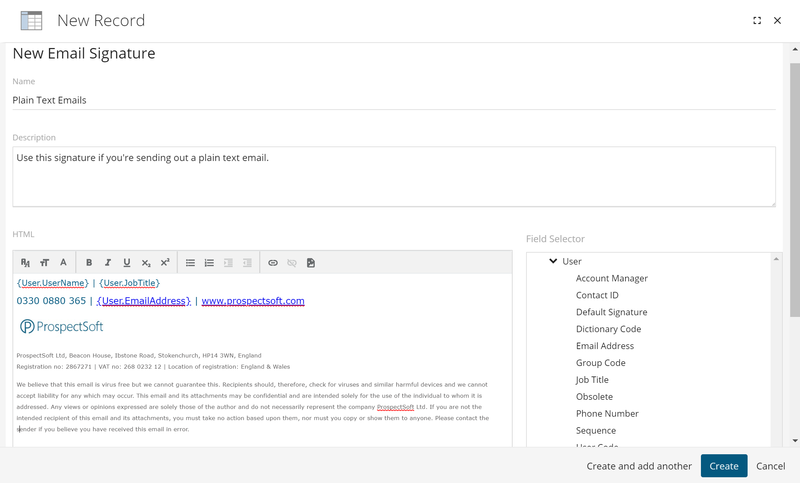 To add a new Email Signature you will need to access the configure option via the Send Email view. Within the configure view all of your existing signatures will be listed & from here you can click the + sign to add in a new signature. 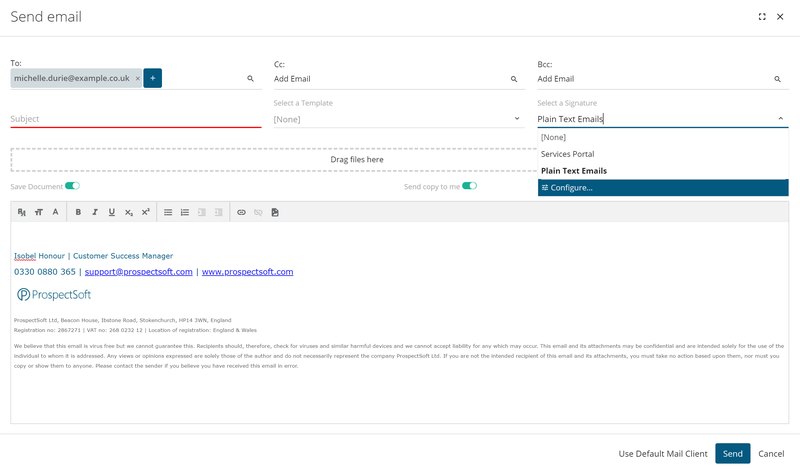 You will now be able to create your Email Signature within the New Record view. Here you will need to give the Email Signature a relevant name & description, this should explain when a user would use this signature template. Finally, you can create your Email Signature within the rich text box. Please note if you have any unique information to the user creating the email then the Field Selector should be used. For example the user's name & job title will be unique to the user, therefore you should insert the relevant search & replace fields by clicking on the related field within the Field Selector. Once happy with your new Email Signature you can click create. The signature will now appear within the signature drop down to be used within the Send Email view. If you have a HTML signature that you wish to use please contact the Customer Services Team to discuss this further.